The new version of Twitch for mobile devices includes a number of new features and improvements. With thousands of available streamers at any given time, Twitch has quickly risen to be king of the video game streaming market. The company has made deals with developers like Bethesda to allow Twitch views to get in-game drops for titles like The Elder Scrolls: Legends, and now viewers and streamers alike will be able to make use of a host of new features that are coming to the Twitch app for iOS and Android devices. The new app does all of the same things users would expect from the Twitch service, albeit with a few new twists. Read on to discover everything that's been revealed for the new Twitch app, as well as how to use some of the new features and when streamers and viewers can expect the app to release. Game fans who are already familiar with the Twitch mobile app will find that most of the basic functionality has remained the same. However, the new version of the Twitch app does allow for several new conveniences, like swiping down anywhere on the screen to bring up the Instant Playlist. The Instant Playlist will immediately populate itself with every live feed from every streamer on the user's Followed list, as well as other suggested streamers from the user's top followed games and categories. Twitch has also made streaming via mobile phones easier than ever. Streamers will now be just one click away from streaming live via their phone's cameras, reducing the time and effort it needs to reach out to followers. In addition, Twitch users can set up new profiles to showcase past videos and posts, all from shortcuts on the main screen. Lastlly, Twitch users will now find that foreign language streams have a new ranking option that sorts available streams by number of users participating in a spoken language. This new option should allow users to find more popular streams in any given region by sorting the language being spoken by both streamers and stream participants. When Does The New Twitch Mobile App Release? 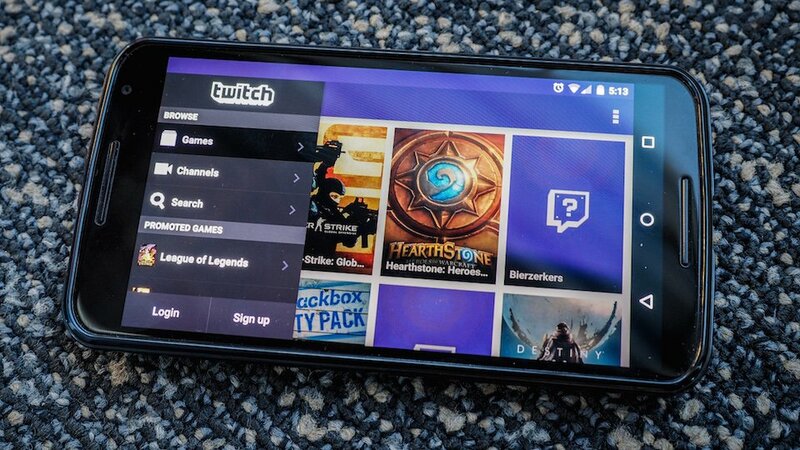 Twitch hasn't announced any specific release date for their new mobile app, but they have revealed that they'll be rolling it out to users over the next two weeks. Anyone that doesn't yet have the app or anyone that might want to update their existing app can head download for iOS or Android through the iOS App Store or the Google Play store. Don't be Twitching out in the wild without the proper protection. Deck out your device with some of the great cases and accessories featured on our list of the Best Mobile Accessories.